Image by nyki_m, used under Creative Commons license. 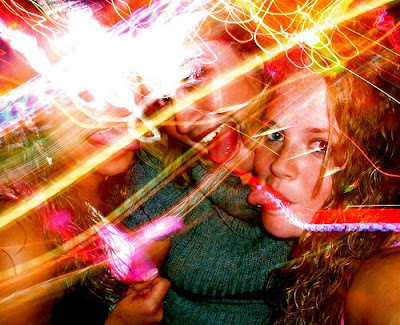 This happened at one of the late night high school parties at someone's house. Everyone was electrified with love and drinks. I saw one of my friends calling home to explain why he wasn't there yet. And a minute later he was solving a math puzzle over the phone. I was questioning my state of sobriety and perception then, but he later explained that his mom was extremely concerned about drunk driving and was subjecting him to a math puzzle to verify his state of awareness. What an ingenious idea. A mom who does homework with her kids knows their capabilities very well! The same creative idea of applying math to check the level of alertness is used in an interesting gadget from Google Labs. Remember how in delightful Allison Pearson's book "I Don't Know How She Does It" the main character Kate Reddy, who is a fund manager, a wife and the mother of two small children, accidentally sends a suggestive email to her work partner instead of her girlfriend? Each of us has had our own share of embarrassing mishaps while emailing half-awake late at night or too early in the morning. Mail Goggles application may save you from such accidents by forcing you to do some math before allowing your email to be sent. If you make a mistake - take a break and come back to revisit your email and your math. Can you test awareness level of your teenager remotely? 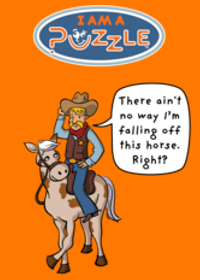 Try using puzzles from our Family Puzzle Marathon. That was actually a creative idea of the mother. She was just concerned of her son's safety. After all, if a crime (DUI) will be committed, the parents are definitely responsible for the case and the bail. It's like the famous adage, Prevention is better that cure. So, for as long as it can be prevented, an individual must act as soon as possible. It was indeed a great initiative by the mother. Checking on the ability of her son to drive was such a great way to show responsible parenthood. It was the right way to prevent possible accidents that drunkenness might give. DUI is one of the most common causes of accidents today. People who have been proven guilty of DUI may receive a punishment of imprisonment and license revocation. It is therefore a good initiative for the mother to assess her son's ability to drive over the phone. Công ty thiet ke noi that oz chuyên trang tri noi that, thi cong noi that chuyên nghiệp. Được nhiều công ty, cá nhân tin tưởng. Năm 2015 là sự phát triển mạnh mẽ về thiet ke noi that chung cu, thiet ke noi that van phong, thiet ke noi that biet thu, thiet ke noi that can ho, thiet ke noi that nha ong, thiet ke noi that nha hang. Ngoài là một cong ty thiết kế nội thất, oz còn thiet ke phong ngu, thiet ke can ho, thiet ke nha hang, thiet ke van phong, thiet ke showroom. Góp phần tạo nên nhiều ngôi nha dep cho khách hàng. You'd never guess the women at Paris Fashion Week have been traveling for nearly a month. With jimmy choo boots impeccable looks at every turn, they'll make you wonder christian louboutin just how they managed to cram so much fashion christian louboutin Shoes into their suitcases and simultaneously make extraordinary outfits feel louboutin sale so effortless. They're a group worth taking notes from, christian louboutin and that's exactly what we've been doing: curating only louboutin sale the best of the week to inspire our style giuseppe shoes all year long. Take a look at the standout red bottoms shoes on sale looks right here.